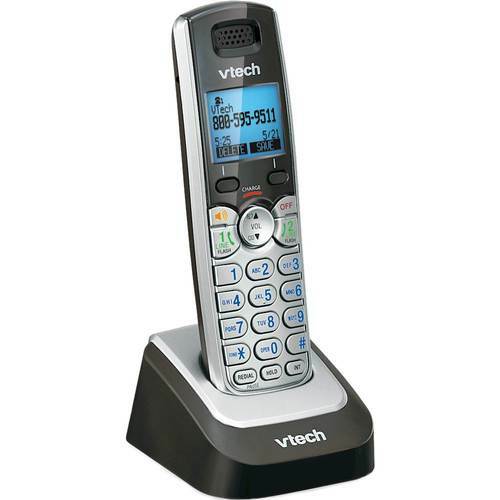 FeaturesExpansion handset and charger For use with VTech CS6719, CS6729, CS6759, CS6829 or CS6859 base stations (not included). Will not function as a stand-alone phone. Voicemail-waiting indicator Alerts you when messages are available. ECO mode Helps conserve energy. 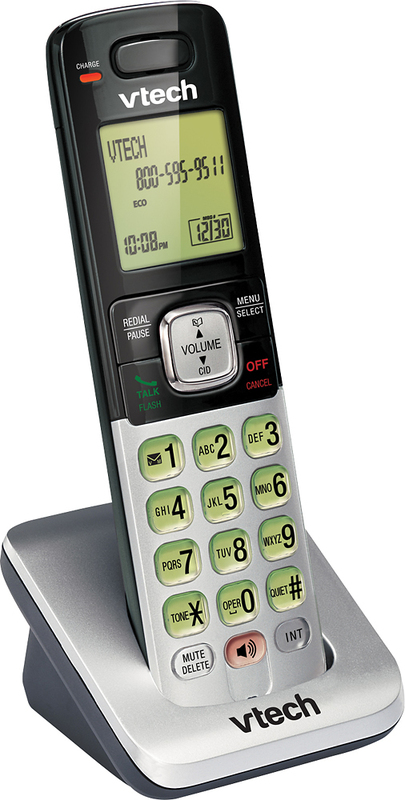 Backlit LCD display Provides a clear view and, along with a backlit keypad, simplifies operation in dim lighting. Call waiting/caller ID with 50-name-and-number memory Displays the name and number of incoming calls and remembers up to 50 callers for convenient callback. 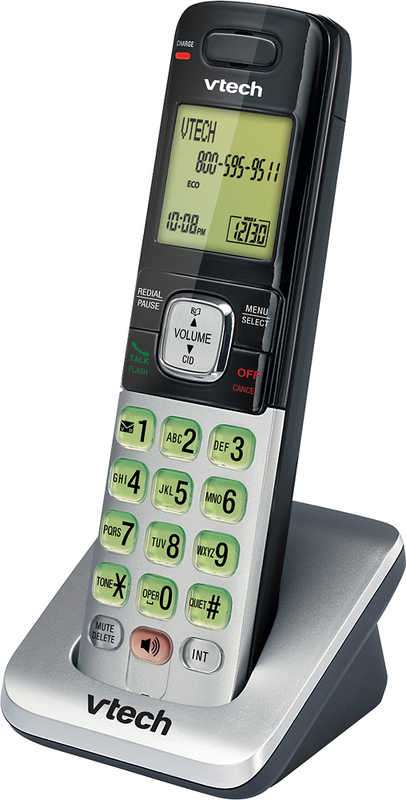 Full-duplex speakerphone Allows both individuals to talk and be heard simultaneously for natural conversations. Press any key to answer for ease of use. 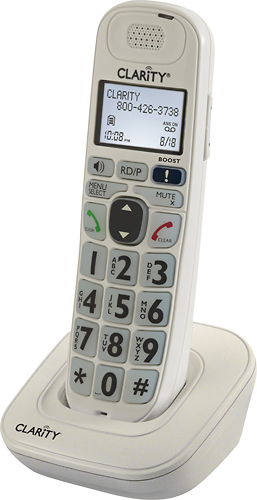 Intercom function Enables communication between the handset and base unit (not included). Conference capability lets you chat with 1 outside caller and 1 compatible handset (not included). 50-name-and-number phone book Keeps contact information close at hand. Last-10-number redial makes it easy to reach recent callers. Quiet mode Lets you silence the ringer immediately or for an extended period of time. Volume control allows you to select a comfortable sound level.